Mazda’s high end model Mazda6 was well received by the marketplace for its sleek design and overall performance. However, feedback from consumers indicated that they did not fully understand or utilize the unique features of the car including its Bluetooth capabilities and state of the art navigation system. The Operations Group was tasked with finding a better way to communicate these features-identified as “DTUs” (or Difficult to Understand). 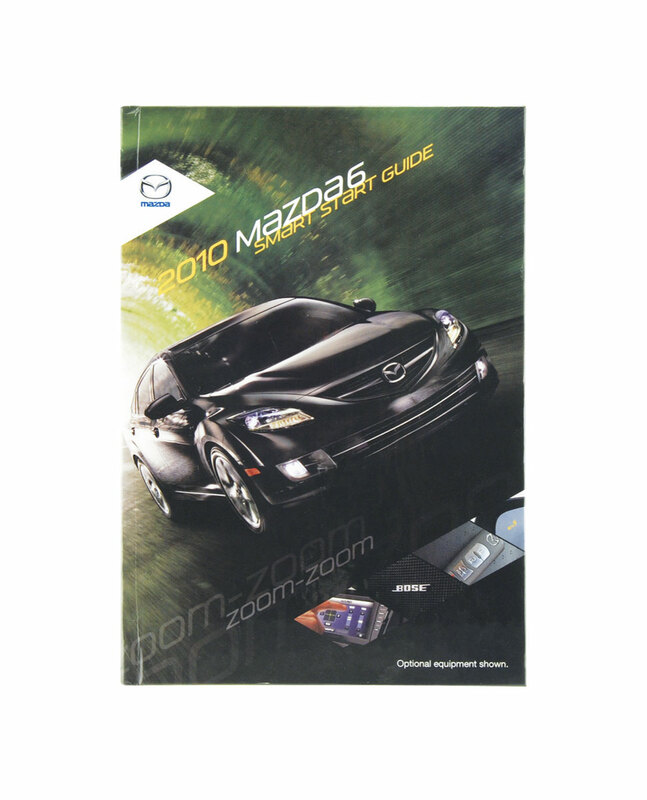 Early efforts including brochures and flyers did not provide the results Mazda was looking for. After seeing Americhip’s new Video in Print™ technology, the Operations Group realized that this cutting-edge new technology could uniquely communicate technical information to their consumers. 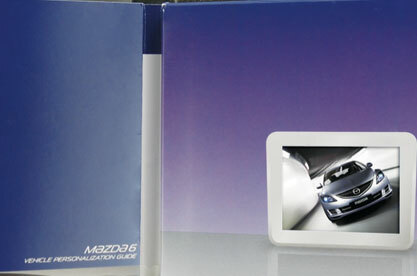 Rather than a simple brochure which gets overlooked or putting all the data on a DVD that never gets played, Mazda worked with Americhip to program the key video data into a rugged, case-bound book they called the Video Smart Start Guide, which could be handed to the consumer at the time of the purchase. Now, the consumer could review these unique features at their own convenience and while sitting in their car. No brochures, no DVD players, no car salesman. Just the specific information delivered directly to the consumer in a creative, direct and complete manner. Thanks to VIP®. 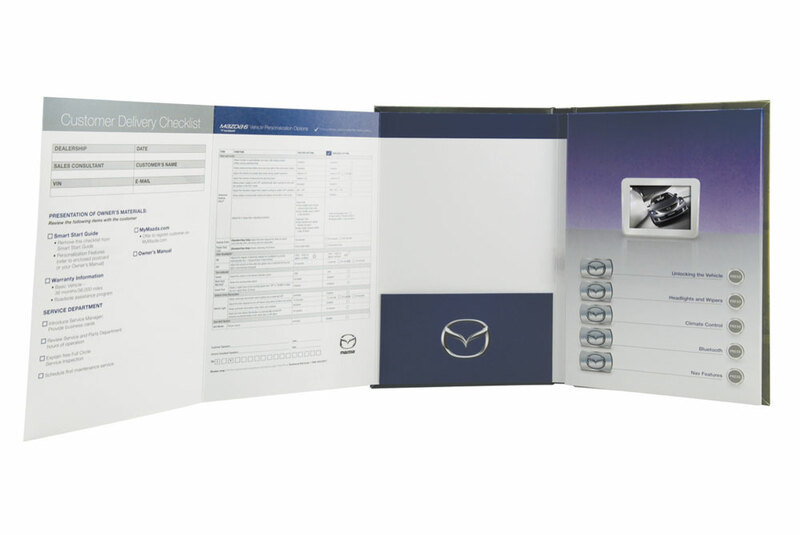 Car and Driver called our book a “very cool video Smart Start Guide” and “The Future of Your Glove Box.” It went on to add “feedback has been positive, Mazda says, and we can understand why. 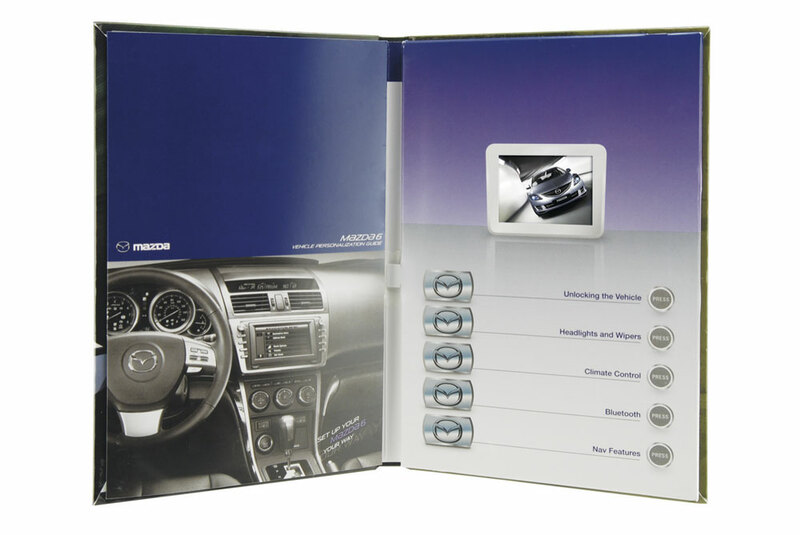 The video guide is a cool way to interact with customers...” Car and Driver was right. The test performed so well that Mazda has committed to a large roll out of the Video Smart Start Guide.